Ice cloud and precipitation particle types and shapes (habits) influence important microphysical (e.g., crystal growth, evaporation, and sedimentation rates) and radiative (e.g., longwave and shortwave extinction and scattering) processes in the atmosphere. Quantifying particle shapes is critical for refining ice microphysical parameterizations in numerical models and improving quantitative precipitation estimation of snowfall. Direct in situ measurements are so far the main source of the data on particle habits, although radar-based approaches of identifying general particle types (e.g., aggregates versus pristine crystals) have been developed. In this study, we propose, test, and validate a remote-sensing method to retrieve a quantitative parameter describing ice hydrometeor shape from polarimetric measurements conducted by the Scanning ARM Cloud Radar (SACR). This parameter is the particle mean aspect ratio that characterizes general nonsphericity of ice hydrometeors and is defined as the ratio of smallest particle dimension to its largest dimension. By retrieving aspect ratios quantitatively, the suggested method goes beyond the existing approaches that use polarimetric radar data to distinguish between several ice hydrometeor types. The new method accounts for the effects of changing particle bulk density, which influences shape retrievals, and minimizes the effects of particle orientations, which enhances the accuracy of the aspect ratio estimates. Since ice particle aspect ratio for spheroidal shapes is an important prognostic parameter in advanced cloud microphysical models, the retrievals obtained with this method can be used in future model validation efforts. 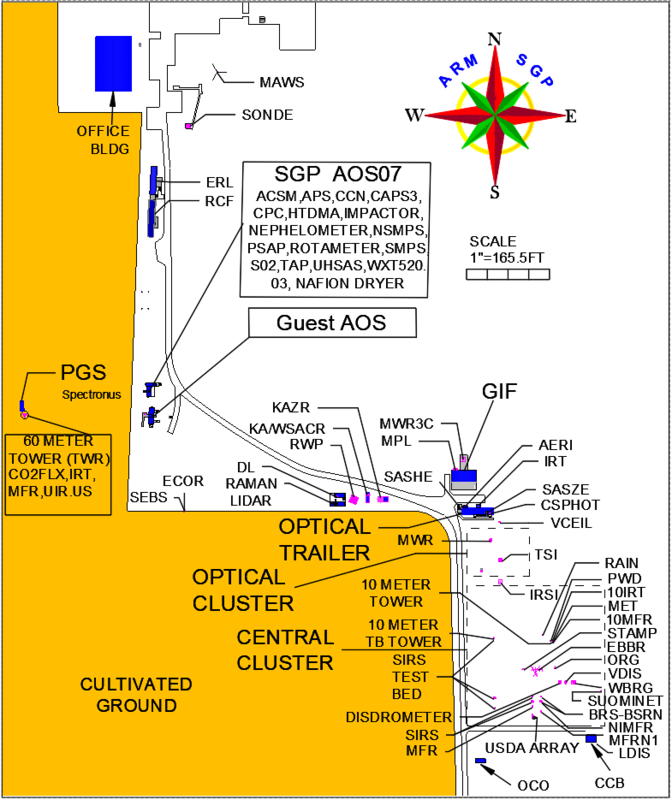 The new method to retrieve ice hydrometeor aspect ratios is used with scanning polarimetric measurements from the Ka-band (~35 GHz) channel of the cloud radar deployed at the third ARM Mobile Facility at Oliktok Point, Alaska. For a case study of a weakly precipitating mixed-phase cloud observed on 21 October, 2016, the results of the radar-based retrievals are compared with closely co-located in situ microphysical measurements from the tethered-balloon-system-based video ice particle sampler (VIPS) and the ground-based multiangle snowflake camera (MASC). The observations reveal that ice particles had mostly irregular shapes, which is common for arctic clouds. Assuming a spheroidal ice particle shape, the radar retrievals indicate ice hydrometeor aspect ratios varying between 0.3 and 0.8 with retrieval uncertainties of around 0.1-0.15. The radar-based retrievals agree well with in situ microphysical measurements of particle aspect ratios given the estimated uncertainties. Examples of particles sampled by the VIPS during the six periods of TBS soundings on 21 October, 2016 (upper frame) and intercomparisons (lower frame) of radar-derived aspect ratios, r (red and green) with microphysical estimates from closely collocated VIPS estimates during these periods (black squares) and ground-based MASC estimates (cyan).